In this Market Briefing, we reveal key findings on Londoners leaving the capital and buying in the country. Where are the hotspots and what is happening to demand levels? Where are London leavers moving to? With London recently seeing the highest growth in property prices than any other UK region in the past decade, Londoners looking to buy outside the capital have substantial buying power. In this briefing, Marcus Dixon, Head of Research at LonRes, looks at just how far their budget will stretch and where the hot spots are as a result. 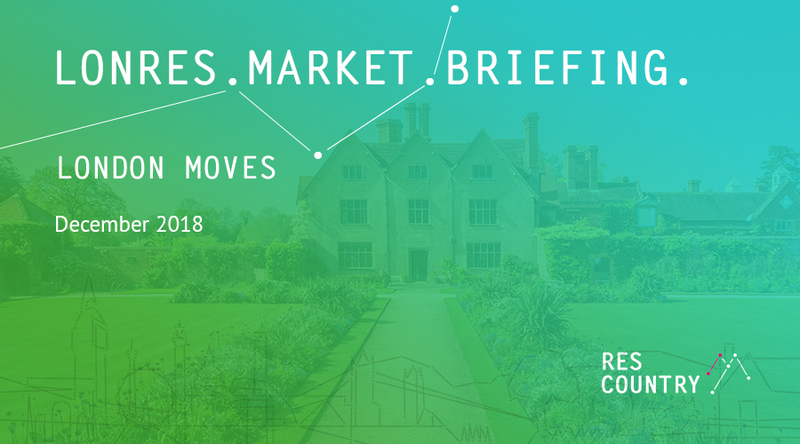 The briefing also reveals findings from a LonRes 2018 survey, where agents report the yearly change in vendors looking to move outside London. Find out how you can take advantage of this evident opportunity between London and the country with our ResCountry service.